Aurora, CO (May 16, 2011) -The Arabian Horse Foundation has announced it is presenting 18 scholarships this year totaling $13,500. 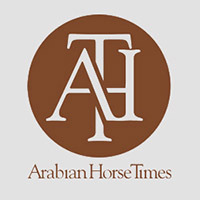 Since the Foundation’s re-launch at the Arabian Horse Association Convention in 2007, the Foundation board has given over $50,000 to youth scholarships. “With the costs of education escalating and the economy impacting families even more, the scholarships will provide welcome assistance to these 18 youth furthering their education,” says Jim Cada, Chairman of the Foundation’s Scholarship Committee. “We’re pleased that we could help this many youth.” Cada also serves as treasurer for the Foundation. 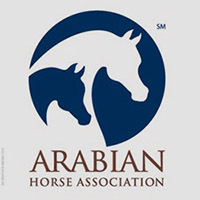 The Arabian Horse Foundation is the philanthropic arm of AHA and has three areas where funds are directed: Horse rescue and rehoming, equine research, and youth scholarships. In the past five years, the Foundation has given nearly $100,000 in these three areas. 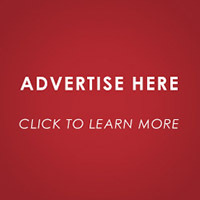 Applications for Foundation scholarships are available at www.arabianhorsefoundation.org. The application deadline is April 1. Applications are reviewed and winners announced in May. Visit the Foundation website for more information about the various giving options and areas that have been funded. Jillian Ann Johnson, Lowell, MI; Alana Hansen, Temecula, CA; Kate Stewart, Union, OR; Spencer Kurtz, Montrose, SD; Sarah Schuessler, Attica, NY; Hayley Simmons, Janesville, WI; Nikki Novak, Unadilla, NE; George Sullivan, Albuquerque, NM; Dani Andrusko, Lakeville, MN; Chelsea Greer, Tacoma, WA; Kelsey Kimbler, Aberdeen, SD; Tanya Meyer, Cedar, MN; Allison Pugh, Bozeman, MT; Amanda Bruner, Hesperia, CA; Elsa Ludwig, Madison, WI; Christina Thompson, Stillwater, MN; Michaela Kotera, Gretna, NE; Megan, Herr, Fullerton, CA.